Pick it up from your local retailer or Order Here. 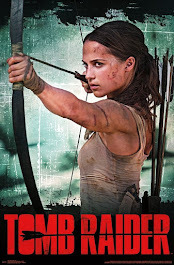 "Haunted by what she was forced to do in order to survive her first adventure, Lara Croft wants only to put her horrifying ordeal on Yamatai island in the past. Her modest wish shatters as she's plunged into a frantic race to save her best friend Sam from a toxic overdose. Desperate for a remedy, Lara searches for anything that could help Sam. 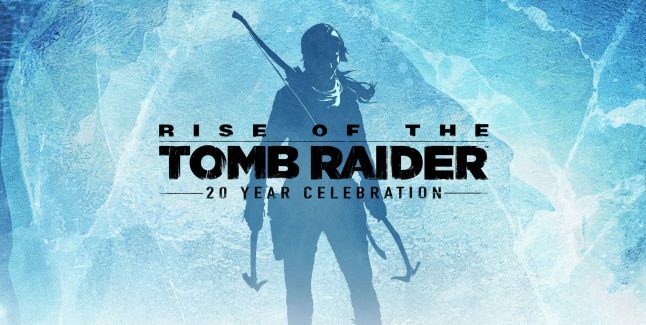 A wisp of hope arising from a myth gives Lara purpose: the story of an ancient and mysterious artifact that could heal her dying friend, and possibly help explain the supernatural events she witnessed on Yamatai." "But Lara is not alone in her pursuit of the treasure. A nefarious magnate, a shadow society, and lethal henchmen will stop at nothing to exploit the powerful relic for their own ends. 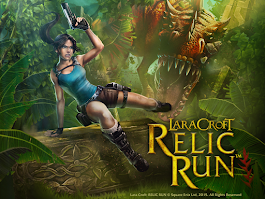 The hunt drives Lara across the globe, through a twisted web of conspiracy, suspicious contacts, and life-or-death intrigue, as she seeks salvation for her friend and the truth behind the legendary talisman." 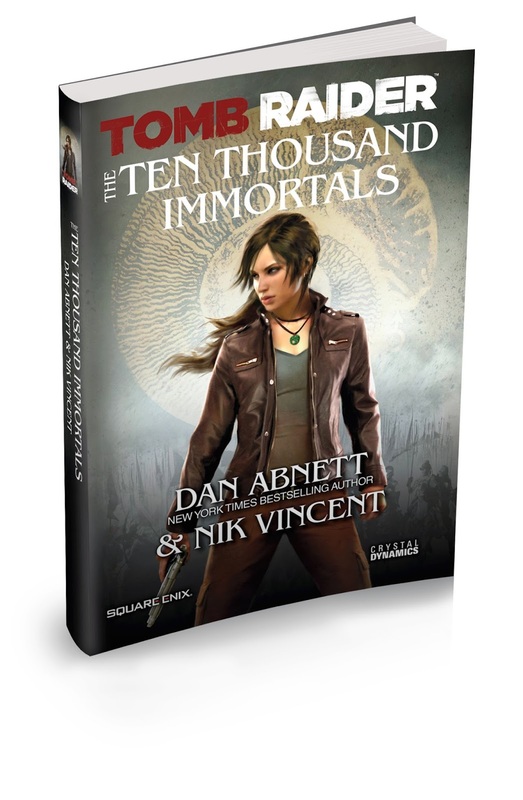 "Tomb Raider: The Ten Thousand Immortals broadens the world and continues the storyline that was introduced in the recent Tomb Raider video game." 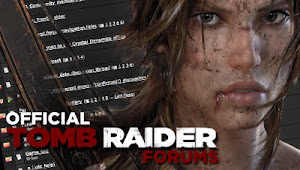 "Tied-in to the best-selling Tomb Raider game launch of March 2013, the novel picks up Lara’s journey immediately following the game’s ending, and will become canon within the modern “reboot” timeline." 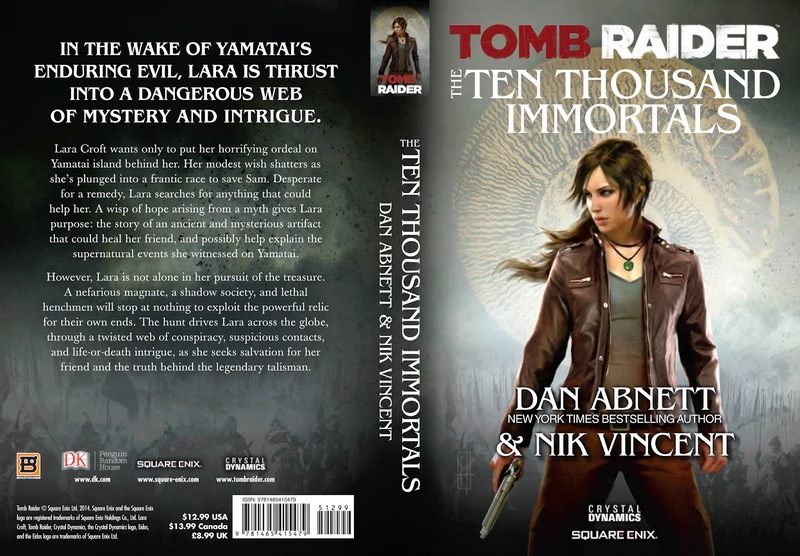 "Written by Dan Abnett, a bestselling British novelist and comic book writer." "Storyline written in conjunction with the game developers at Crystal Dynamics."